I was not your typical high schooler. While other girls spent their teen years at the mall with their friends, I much preferred wandering the aisles of the grocery store with a signed check from my parents to make the purchases I needed for the week’s meal planning. It was during those years that I kicked my mom out of the kitchen, became the household subscriber to Cooking Light Magazine, and began my collection of recipes that grew to towering heights. My mom, a fabulous cook herself, welcomed the opportunity to take a break from her twenty-year stint as solo chef and graciously gave me reign over the weekly dinner menu. I remember the first meal I chose to prepare for the family: Supa Ya N Dizi. I’d seen it in one of my magazines, a common stew in Tanzania consisting of curried chicken and—wait for it—bananas. It was every novice cook’s obvious first choice when preparing dinner for the very first time (ha!). Looking back, my foray into family dining is striking to me: The dish in and of itself was unique, yes, but maybe more interesting is the fact that I didn’t yet like bananas, and still I chose to make it. The recipe sounded so crazy that I figured it just might work. My fellow diners were skeptical when I told them what I’d be ladling up that evening. “Banana soup? !” my dad exclaimed, not even trying to hide his disdain. I had a ways to go before I would win him over with my culinary abilities, but in spite of the doubters, the stew turned out delicious. With two whole tablespoons of curry powder and a teaspoon of freshly ground black pepper, it was spicy on our unaccustomed palates, but those controversial bananas stole the show adding the perfect sweet and calming contrast to the heat of the rest of the dish. My eyes were being opened, and this soup-cooking experience unleashed something in me. I had always been a strong-willed, opinionated kid and often worked to prove people wrong like I was being paid to do so. My adventures in the kitchen proved to be no exception. I felt this irrefutable desire to change people’s minds about food (sometimes even my own). It was as if the earth had hired me to ensure all its great bounty fell upon desirous tongues. When someone told me they didn’t care for olives or mushrooms or zucchini, I made it my personal mission to convert them. I was convinced they just needed to try these foods in new and sometimes unconventional ways to be won over. And often I was right. The Banana Stew was just the first of many teenage attempts to sway my diners. Next up came the zucchini pie. With the aid of a melon baller for shaping and a packet of red Kool-Aid powder for color, I had my family convinced that the a la mode slices I served up for dessert that night were in-the-flesh cherry pie. Arguably, the use of Kool-Aid likely countered any health benefits from the zucchini consumed, but I was young and still learning and considered getting my little brothers to willingly eat something “green” a real victory, regardless of the technique. Many of us were raised eating foods (vegetables being the worst culprit) prepared in a single, bland fashion, resulting in mental lists of meals we avoid. Don’t care for mushy steamed broccoli, turned an unappetizing shade of olive green? Me neither. Try roasting it at high temperatures with a generous pour of olive oil, minced garlic, and salt instead. Sprinkle with sliced almonds for the last five minutes of cooking and dust with freshly-grated parmesan just before serving. These crispy morsels just might blow your mind. Don’t like the boiled-to-death cooked carrots of your childhood? Again, roasting them with herbs and seasonings will do wonders for their flavor and texture. The same holds true for cauliflower, Brussels sprouts, and green beans. Vegetables naturally sweeten when roasted, and many diners will find themselves won over by their sweet, crisp-tender bite. Is it a texture thing that leaves you struggling with mushrooms? Try pulsing them in a food processor or chopping them until they are finely minced before sautéing or adding them to dishes. All slippery qualities vanish, and they add great dimension and an earthy flavor that rounds out so many recipes and sauces. We all have our lists of “foods we don’t like,” some longer than others. These lists often form during the dining experiences of our youth and can be lasting if we never seek to challenge them. Yet liking food is something we learn, so I encourage eaters to practice open-mindedness at the table, reconsidering dishes they once thought they “hated.” When prepared in new and exciting ways, suddenly we might find these foods enjoyable. Let’s not allow the opinions established in the past to forever mar what we allow on our plates in the future. Explore, challenge, test, and taste! A new food favorite you used to hate might be waiting just around the corner. 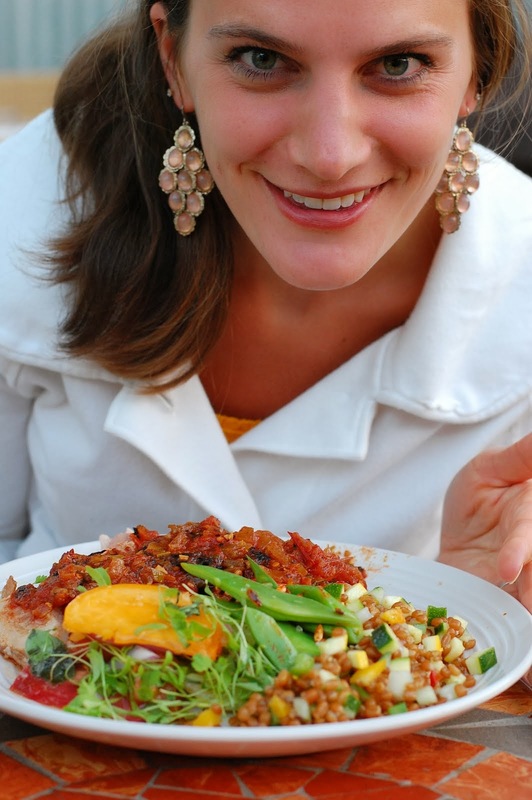 Kelsie Crozier is a registered dietitian, freelance writer, and a die-hard foodie. She is the wife of 11 years to her husband and biggest fan, and the mother to three littles, ages 8, 6, and 4. They live together in Woodinville, WA where she is ever pushing the envelope with the front yard vegetable garden of her dreams. She is passionate about living this wild and crazy life vulnerably, investing deeply in her people, and learning to do brave, hard things. She loves to write and process the highs and lows of her journey in mothering, marriage, and eating on her blog www.kelsieskitchen.com.